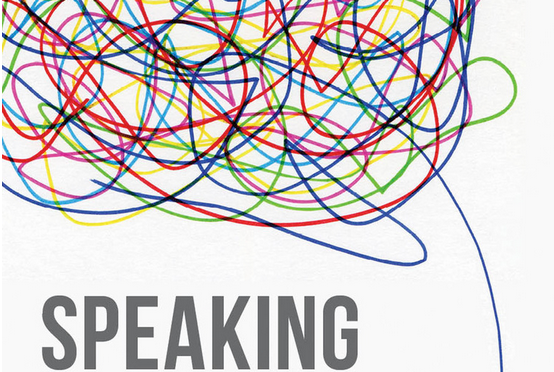 This is a guest post by Thom Scott-Phillips, previewing his new book, ‘Speaking Our Minds: Why Human Communication Is Different, And How Language Evolved To Make It Special’, which has just been published by Palgrave MacMillan. Research in language evolution does not pay much attention to pragmatics – the study of the communicative basis of language use. By way of illustration, the index to the Oxford Handbook of Language Evolution lists only 8 pages under ‘pragmatics’. In contrast, 213 pages are listed under ‘syntax’ and related terms. This is, I think, a major error. An intuitive way of thinking about how communication works is in terms of machine-like encoding and decoding. This actually works as a way to describe much (most? all?) animal communication, especially if we allow the codes to operate probabilistically. Codes that make this type of communication possible are called natural codes. However, as many pragmaticists have pointed out, natural codes fail as a way to describe linguistic communication, and indeed human communication in general (what does a voluntary grunt ‘encode’?). Contemporary pragmatic theory emphasises how human communication is made possible not by codes, but instead by social cognition. This does not simply mean that signals are produced intentionally (although they are), but rather that what is expressed and recognised are themselves intentions. The technical term is ostensive communication. Linguistic communication is a special case of ostensive communication, where a large set of communicative conventions – called conventional codes – make ostensive communication more precise and expressively powerful than it otherwise would be. The opening chapter of Speaking Our Minds details exactly why this really is a qualitatively different form of communication to the intuitive idea of machine-like encoding and decoding. This pragmatic perspective makes it clear that in order to understand the origins and evolution of language, the key questions we have to answer are (1) how ostensive communication works, (2) how and why we evolved to communicate in this way, and (3) how conventional codes evolve, culturally, to take the forms that they do. Speaking Our Minds decisively answers all these questions, and others. In the rest of this preview, I’ll focus on my approach to the last of these big picture questions, namely the cultural evolution of languages. In the new year there will be a more in-depth discussion of the book over at the International Cognition & Culture Institute. Readers of this blog will likely know that many recent papers have shown how, as they pass between individuals, and as they are used in communication, languages often gravitate towards particular forms, and away from others. The result is that languages become organised in ways that tend to fit the various factors that contribute to this cultural evolution. One well known example is the finding from many models and experiments that languages that must be learned anew by each learner tend to become very easy to learn. In this way, an evolutionary perspective can help to explain why languages are organised in the ways that they are. This thesis has in several places been juxtaposed with the traditional Chomskyian argument that linguistic organisation is due to a Universal Grammar of some sort. However, what we do not yet have in language evolution is a general theoretical framework with the same capacity for explanation that Darwin’s theory of natural selection has for biology. This is because we do not have a causal explanation of the link between mechanisms of cultural propagation – such as communication, imitation, reasoning, memory, and others – which operate among and between individuals, and their effects at a population level. Let me expand on this point, by analogy with the situation in biology. The observation that there is a good fit between biological traits and the environment in which the traits are used long pre-dates Darwin. What Darwin added to this was a causal link between the two sides of this observation: he described a process by which the environment could causally influence biological form. It is this contribution for which Darwin is celebrated, as too are the architects of the neo-Darwinian synthesis, who described the causal link between ecological environments and biological form in a great deal more detail, especially at the genetic level. The present situation in language evolution is somewhat like the situation in pre-Darwinian biology. There is now a fast-growing catalogue of data, both experimental and naturalistic, showing a good fit between features of the linguistic environment and features of languages. We also have multiple demonstrations that the former can give rise to the latter. (Contemporaries of Darwin knew something similar about biological evolution, namely that if you selectively breed a species, it will evolve to take a form that fits with the criteria used for that breeding.) However, language evolution does not yet have a causal explanation of how this happens. Such an explanation can only be derived from a detailed consideration of how the various cognitive mechanisms involved in language use and propagation modify languages, such that they gravitate towards particular forms, and away from others. This project – the pursuit of a causal link between the micro-scale of individual cognitive mechanisms and the macro-scale of cultural stability – has, however, been pursued in other domains, under the name of Cultural Attraction Theory (CAT). CAT is presently most closely associated with cognitive anthropologists such as Scott Atran, Pascal Boyer, Nicolas Claidière, Lawrence Hirschfeld and, most of all, Dan Sperber. Arguably its most profitable application to date has been in Pascal Boyer’s work on supernatural beliefs. In Speaking Our Minds, I argue that it can and should also be applied to language. In fact, I think that language evolution can – and, in time, will – become a particularly clear illustration of cultural attraction in action. CAT points out that the various mechanisms of cultural propagation, such as imitation, learning, reasoning, and so on, all modify cultural items, often as part of their proper functioning. The archetypal example of such mechanisms are those involved in ostensive communication. When we look in detail at how ostensive communication works – which is to say, when we take pragmatics seriously – what we see is that the mechanisms involved in ostensive communication actively transform the cultural items they communicate. By ‘actively’, I mean that these transformations are typically not errors. On the contrary, they are often the very point. For instance, when passing on information to others, we cut out parts we deem irrelevant, and in so doing transform the information itself. Other mechanisms of cultural propagation perform similar modifications. Crucially, these modifications are typically not random, but tend to operate in the direction of a better fit with the goals and dispositions of human minds. Consequently, cultural items are often attracted to particular forms, and away from others. This is attraction in its technical sense, taken from dynamical systems theory. For more detail on CAT, a good starting point is a paper I published earlier this year, in collaboration with Nicolas Claidière and Dan Sperber. These insights justify the following research agenda: for any given cultural item, identify the various goals and dispositions (called factors of attraction) that cause the cultural item to be attracted to particular forms (called attractors) and not others. In this way, linguists, anthropologists, and other students of human culture can appeal to factors external to the cultural item itself as a way to explain why those items take the forms that they do – just as biologists appeal to factors external to the organism itself (the selective environment) as a way to explain why biological traits take the forms that they do. The end goal for research on the cultural evolution of languages should be to identify the relevant factors of attraction for each linguistic feature of interest. The table below summarises the contributions that some recent findings make to this project (this is a miscellaneous collection; there are many more examples that could be added). Speaking Our Minds is not only about CAT, of course, or even only about the cultural evolution of language. How ostensive communication evolved in the first place, and whether any other species communicates in this way, is another key topic, and the book’s final chapter is concerned with questions of biological adaptation and evolutionary stability. The cultural evolution of languages is simply one illustration of a common theme, namely the importance of pragmatics. Put simply, Speaking Our Minds shows that if we take pragmatics seriously, it is possible to answer all of the big questions one might wish to ask about the origins and evolution of human language. Thom Scott-Phillips is an Addison Wheeler Fellow in Cognitive and Evolutionary Anthropology, at Durham University, UK. He has been awarded multiple research prizes, including the New Investigator Award from the European Human Behaviour and Evolution Association (2011), and the Outstanding Doctoral Research Prize from the British Psychological Society (2010). Speaking Our Minds is his first book. On Cultural Attraction Theory, I’ve never been able to understand it. Back when I was working on my book on music I was strongly influenced by the theories of Walter Freeman, who used complex dynamics to model the operation of nervous systems. So he talked of trajectories, attractors, and attractor landscapes. He used the mathematics of complex dynamics both to analyze data from experimental observation and to construct computer simulations of neural systems. In that context the attractors are simply the trajectories to which the system is driven under sensory load. I don’t see anything comparable in CAT. What is the physical system in which these attractors arise? Most (but not all) of the “factors of attraction” in your table can be interpreted as properties of the nervous system. But you don’t seem to be thinking of the nervous system as the locus of your attractors, which would more or less put you in Freeman’s world. What is the system in which the attractors arise? What are its elements? The systems in the linked paper seem to consist of competing cultural types which “could be either mental or public” (p. 5) but I don’t see anything about what’s driving those systems. The probability coefficients seem to be post facto descriptions of how the system is behaving but there’s nothing about why the system, whatever it is (the social group? ), should have any preferences at all. Where do those preferences come from? Without modeling the underlying causes of those preferences CAT seems pretty circular. The factors of attraction seem to address that issue, but not yet in any more than a nominal way. So, for example, the factor “child psychology” affects the attractor “segmentation”. What is there in CAT that adds to the literature you cite?